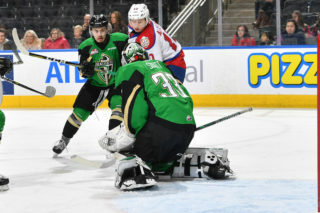 The Western Hockey League announced Thursday that Todd Scott of the Edmonton Oil Kings has been named the WHL Vaughn Goaltender of the Month for January, 2019. In 245 minutes of action during the month of January, Scott sported a perfect 4-0-0-0 record, 1.47 goals-against-average, and stopped 103 of 109 shots for a 0.945 save percentage. 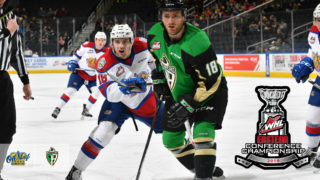 Scott’s strong play was part of a 7-3-0-1 record for the Oil Kings in January that saw them build a three-point lead atop the crowded Central Division standings. 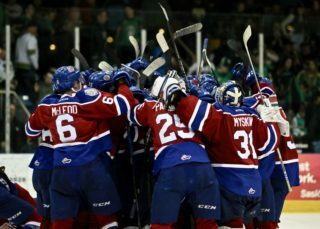 Scott’s month began with back-to-back wins against the Lethbridge Hurricanes on January 11 and January 13, stopping 55 of 57 shots sent his way in the two contests combined. He then made 27 of 28 saves in a win against the Prince George Cougars and closed out his month Tuesday with a come-from-behind victory in the shootout against the Brandon Wheat Kings. Overall, Scott was recognized twice as the second star of the game and once as the third star of the game during January. Dating back to December 30, 2018, Scott has won five-straight starts for Edmonton. 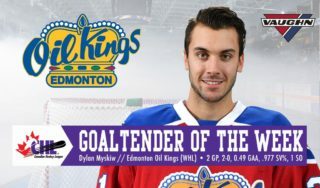 The 6-foot-1, 200-pound product of Albertville, Minn. has performed well in 10 games with the Oil Kings this season, sporting a 6-1-2-0 record, 3.14 GAA, and a 0.892 SV% in 573 minutes of action. 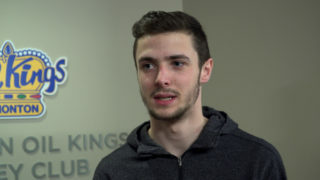 Originally selected in the tenth round, 203rd overall, of the 2015 WHL Bantam Draft, by the Vancouver Giants, the 18-year-old Scott has appeared in 43 WHL regular season games, sporting a 18-13-5-1 record, 3.82 GAA, and 0.878 SV%. 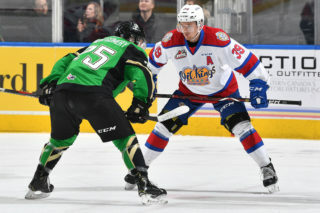 The Oil Kings begin a two-game road trip in the province of Saskatchewan Friday, February 1 (7:00 p.m. CT) at the Art Hauser Centre against the Prince Albert Raiders.